In Nigeria the restored gospel took root spontaneously in the two decades before it was formally preached in that country. From the 1950s on, some Nigerians learned about The Church of Jesus Christ of Latter-day Saints through magazine articles and acquired Church literature. Groups of people began meeting unofficially in the Church's name. 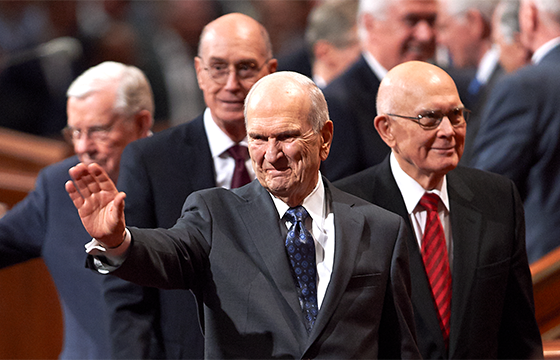 Through the years, some of them wrote to Church headquarters requesting missionaries. Glen G. Fisher, returning from service as South Africa Mission President, visited Nigeria in 1960 and reported that the groups were sincere. Attempts to send missionaries, however, were thwarted because visas were unavailable. The 1978 revelation on the priesthood, allowing all worthy males of any race to hold the priesthood, was the catalyst for the start of missionary work in Nigeria. In 1978, two couples were sent to Nigeria as special representatives of the Church's International Mission. The first baptized member was one of those who had waited many years for the coming of the missionaries. In 1987, less than 10 years after the Church's establishment in Nigeria, membership approached 10,000. In January of 1997, when the Africa Area of the Church baptized its 100,000th member, membership in Nigeria had reached 30,300, the highest of any nation in the Africa Area. Church membership continues to grow at an unprecedented rate.